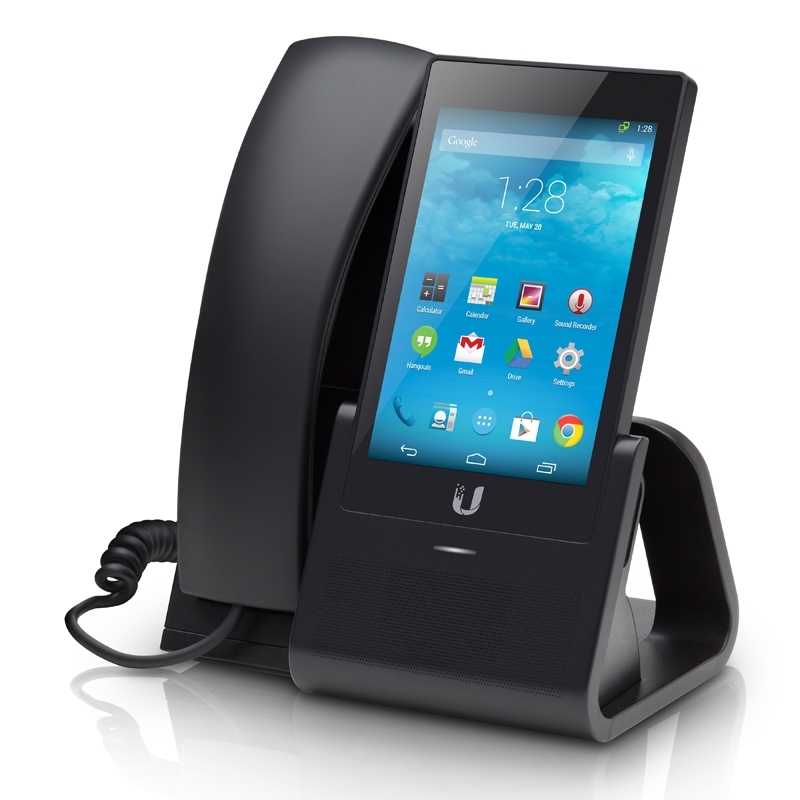 The Ubiquiti UniFi UVP VoIP Phone is Ubiquiti's entry level phone and is part of the well established UniFi Enterprise System. The base model includes a 5" touchscreen powered by Android Kit Kat (4.4.2). The Ubiquiti UniFi UVP-PRO phone model also includes Bluetooth support, Wi-Fi capability, and a video camera for added video calling functionality. Ubiquiti's proprietary SDN software, the UniFi Controller, readily integrates with a scalable PBX system for management of features such as call logging, auto-attendant, voicemail, and mass configuration. Such ease of use makes the UniFi VoIP Phones ideal for quick deployment in small businesses, corporate locations, schools, and hotels. UniFi VoIP Phones integrate seamlessly into the UniFi Software Defined Networking (SDN) platform to create a highly scalable, end-to-end system of network devices across multiple locations - all controlled from a single interface.